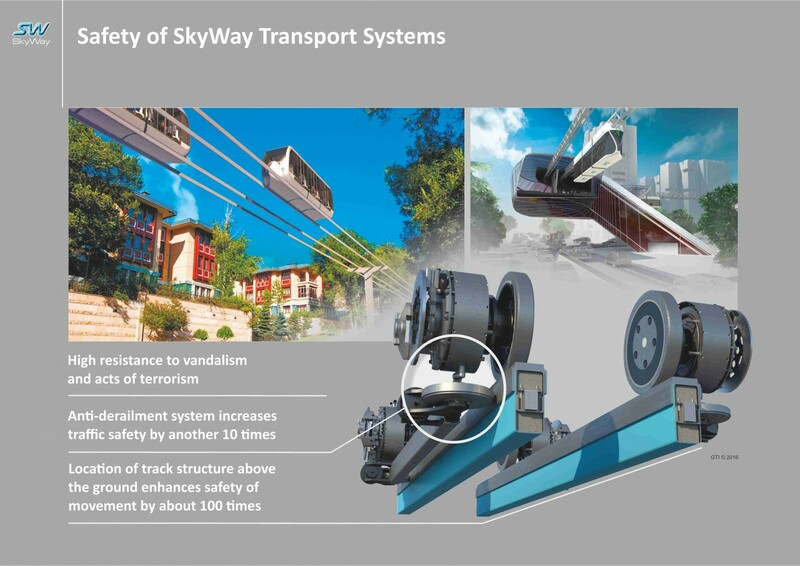 GPEKS is sponsoring an urban SkyWay train project starting in Gatineau, Quebec (Canada). The objective is to initially connect the western portion of the city to Canada's Capital, Ottawa, then expand to the rest of Gatineau and up to Chelsea (urban rail), before expanding the line to an intercity high speed line to connect Gatineau to Montreal, then Quebec city and Gaspé. Working with its network of private and public investors, GPEKS is able to provide 100% of the funding required for the inital phases I and II of this project. This train technology is based on the experience and achievements of the entire humanity in the sphere of road construction and vehicle creation. Adopting the best of what was created before us, learning from the mistakes of others, SkyWay has created what we believe is the safest, most cost-efficient and reliable transport of all systems that have ever existed. 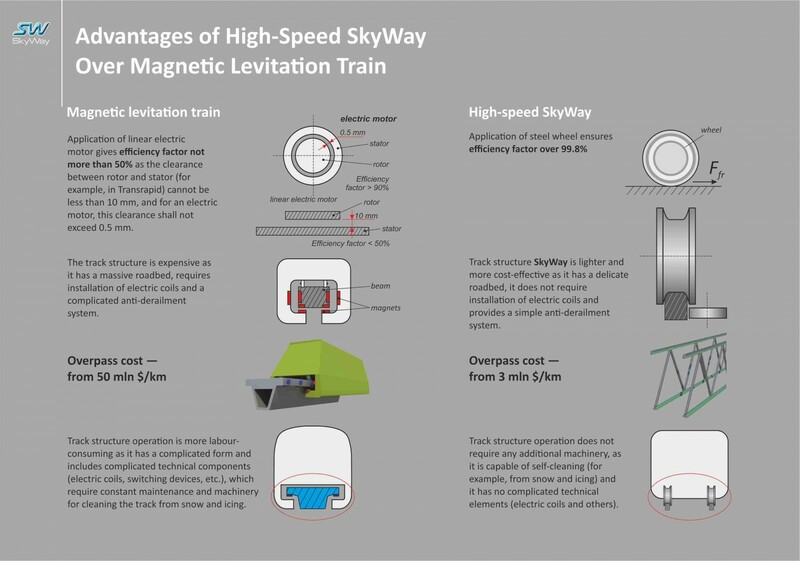 This video illustrates what a SkyWay Urban train looks like and explains some of the benefits. GPEKS is working on a localized 3D enhanced virtual reality video (draft version 0.8 here - final bilingual version to be released October) that will better illustrate the GPEKS SkyWay project in the context of the proposed route in Gatineau/Ottawa. The final location of the line and stations will be determined as result of extensive consultations with the population, municipalities and various stakeholders (UQO, STO, financiers, etc.). A pre-feasibility study has been initiated and will be followed in 2019 by a more detailed feasibility. Our plan is to work in partnership with academia teams such as Willis College (various disciplines), Ottawa University MBA (business planning), CEGEP (3D Modelling, Graphic design), UQO (Feasibility) and Carleton University (Engineering). The detailed feasibility will feature the construction of a short line segment for the purpose of certification with Transport Canada. There are many strategic and economic reasons for the proposed tracing (simplification, cost, view of the river, less interference with local traffic ...). Our plan is to visually integrate the elevated rail line with two sections of vegetation wall (such as cedars) on each side of the lines (when the line does not skirt the park) to hide the lower part. The train will be decorated with wildlife photos of local Canadian forest, trees and animals. Some of the train's panels (or windows) will be covered with electronic signs that can be used to pass promotional videos about the region for example. 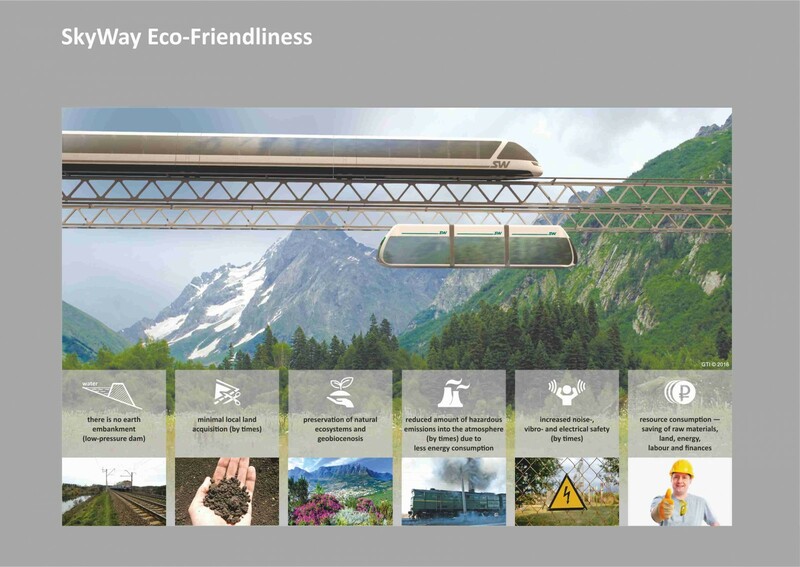 We plan to cover the walls and roof of the train with BIPV thin-film Solar energy (CIGS) from Hanergy, as well as newest generation of batteries such as printed batteries using nanotechnologies and graphene. The final major technological feature is the possible use of Hydrogen to power inter-city trains without having to connect to the electrical grid. Residents who live close to the line will have the privilege of being offered shares in the project, with an estimated yield of 15% per year. II 2023-2025 Connect the UQO station to Ottawa O-Train Bayview station - Intersection of lines 1 (Confederation) and 2 (Trillium. See O-Train map here. Note that GPEKS is also working on plans to assist SkyWay train projects internationally, initially in Asia Pacific with a Bangkok to Singapore link and Latin America with Buenos Aires to Sao Paulo line through the coast and Uruguay.